the region's wine and food to help you recover from the day's exertions. 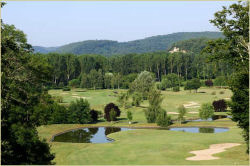 The Vigiers course was designed by Donald Steel, named by Golf Magazine in 2003 as the fourth most influential golf course architect in the world. 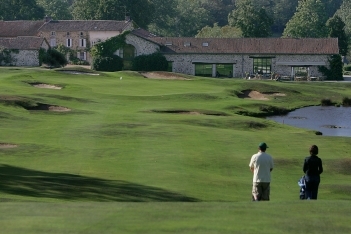 The ninth and eighteenth greens are in front of the Chateau. 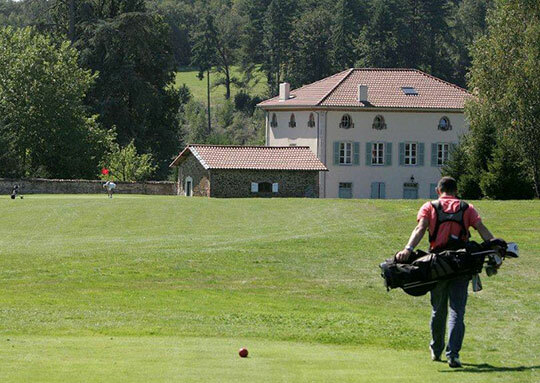 Less than half an hour journey is the superb course of 'le golf de la porcelaine' renowned for its design in the beautiful Limousin landscape. These are our sites that may be of interest from an artistic point of view Cornwater fine art. and of particular interest to those travelling in France, Russell Flint. This site shows work by the northern British artist L.S. Lowry and to return to the home page, click perigord here. A holiday house to let in the Perigord, Dordogne, south west France with a lake, pool, large garden,and all beautifully maintained, for a holiday that will aways be treasured.